This report is segmented by Product (Antivirus/Antimalware Solutions, Data Loss Prevention Solutions, Disaster Recovery Solutions, Distributed Denial of Service Solutions, Encryption Solutions, Identity and Access Management Solutions, Intrusion Detection Systems/Intrusion Prevention Systems, Risk and Compliance Management, and Other Services and Solutions), Device Type, End User, and Geography. 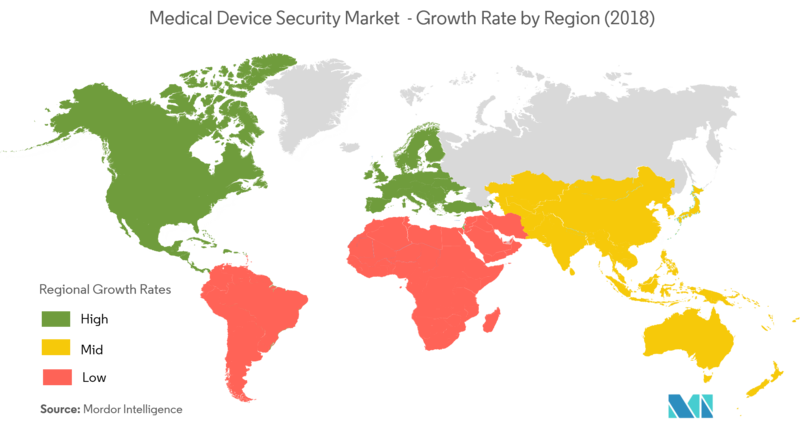 The medical device security market is expected to register a CAGR of 8.3% during the forecast period. There has been an increase in cyber-attacks on the healthcare facilities systems and their medical devices and there have been instances of theft of personal data that are critical to hospitals and patient privacy. This has led to the implementation of strict government guidelines by the FDA and National Institute for Standards and Technology (NIST). In case of medical devices (MRI scanners, surgery robots, X-ray machines, and dental devices) endpoints are internet-enabled with IP network. These endpoints are prone to security threat by hackers. Thus, endpoint security has become increasingly important for data protection and protection of systems from unauthorized manipulation and preventing the use of malicious software. There has been a growing trend of adoption of connected and wearable medical devices. Medical devices with configurable embedded computer systems are more vulnerable to cyber security threats. With a rise in the use of medical devices across healthcare organizations, device manufacturers and hospitals have become more vigilant in improving their network security. Medical devices in the hospital rooms in intensive care units are integrated to a cloud base infrastructure for online sharing of encrypted healthcare data. 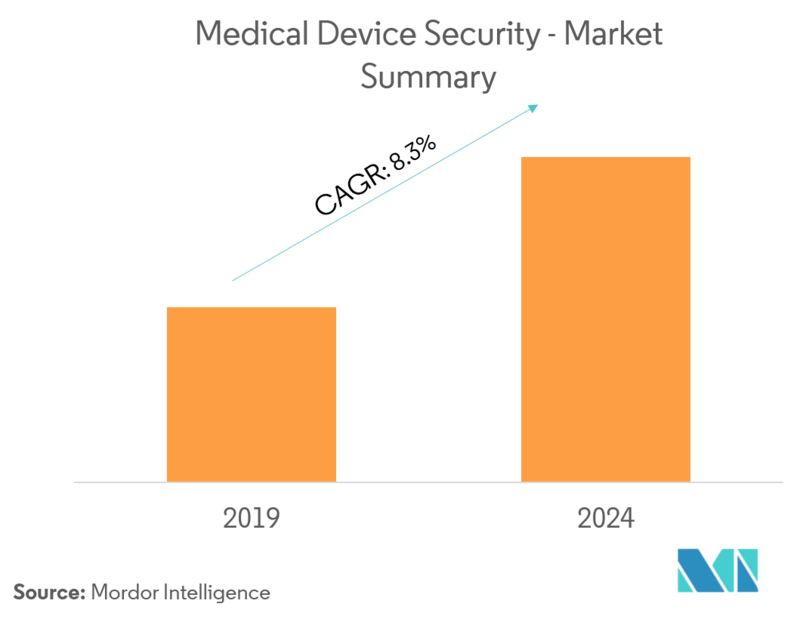 Thus arises the need for providing security for medical devices, which is further contributing to the growth of the medical device security market. 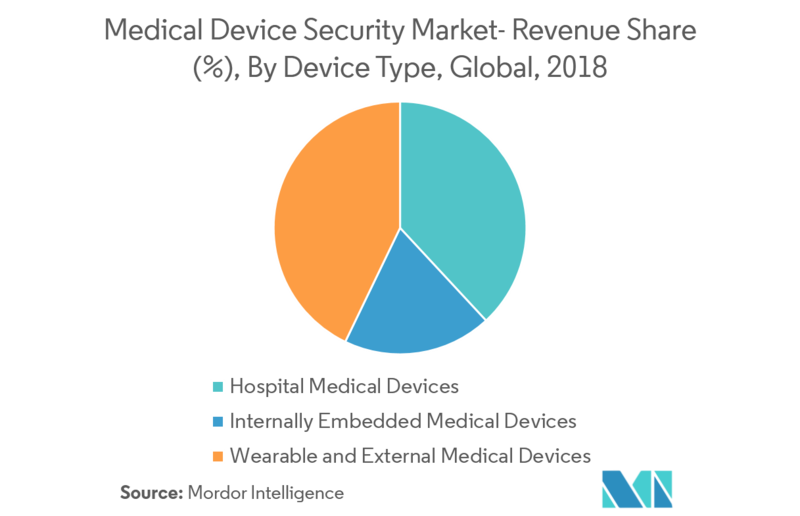 Other factors which are driving the medical device security market are the increasing demand for connected medical devices and government regulations along with the need for compliance. Medical devices vulnerable to security threats are protected with the use of industry standard guidelines. Medical device manufacturers mitigate risks with the use of software solutions, services, and encrypt data for secure data transfer and evading data loss. Wearable and External Medical Devices Segment is Expected to Grow at Fastest Rate. The increasing adoption of wearable medical devices is driven by technological advancements and innovations along with improving the care availability and lifestyle of patients. Currently, these wearable medical devices are gaining immense popularity, due to improved technologies and their compatibility with regularly used devices, such as smartphones. Increased usage of medical devices connected to mobile networks or through IoT in the healthcare sector can significantly increase the risk of security issues, which in turn is forcing more and more medical technology companies to implement security solutions for external and wearable medical devices. In the United States, there is a rise in the adoption of wired and wireless networked medical devices because they are playing an important role in improved individual health outcomes. These devices collect, store, and process vast amounts of clinical data and are prone to security risk. In 2018, the FDA released a safety action plan outlining proposals for the improvement of cyber security in medical devices. These government initiatives to lessen the data breaches by increasing the security of medical devices are the most significant factor responsible for the growth of the medical device security market in the United States. 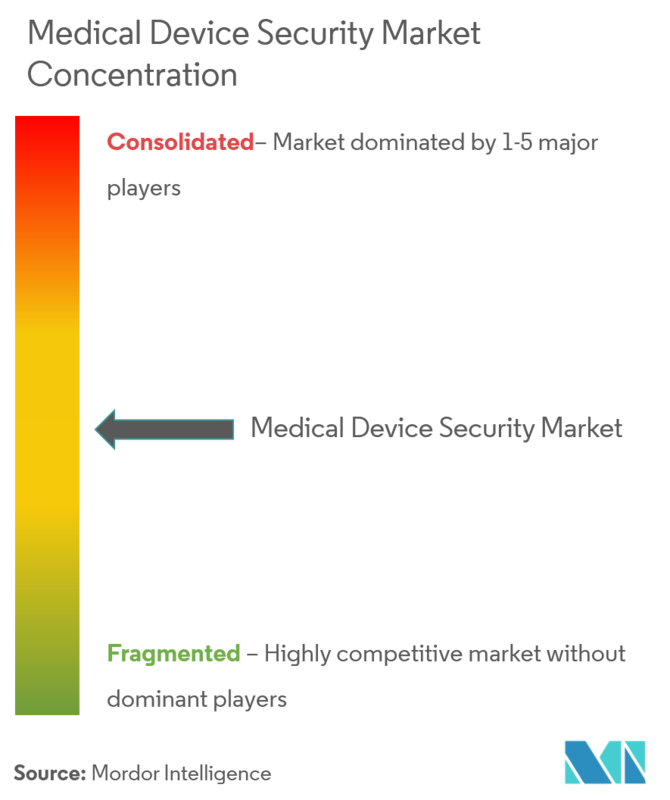 The medical device security market is fragmented, highly competitive, and dynamic. The dynamic nature of the market is primarily due to the ability of information technology and software companies to enter freely in the market. Key players in the market include CA Technologies, Check Point Software Technologies, Cisco Systems, DXC Technology, FireEye, IBM, Imperva, Mcafee, Palo Alto Networks, and Symantec Corporation, among others.